There was a time in Telugu Cinema when most of the films were either based on Mythology, Fiction , Socio-Fantasy, Folklore and so on. Some themes even focused on the concept of reincarnation of lead characters later on. The best remembered films which came in this zone are Paatala Bhairavi, Gandikota Rahasyam , Mayabazar, and so on. Even legendary actors like Sr.NTR, ANR, CSR and S.V.Ranga Rao found a heap of fortune through these films with respect to their phenomenal acting skills. 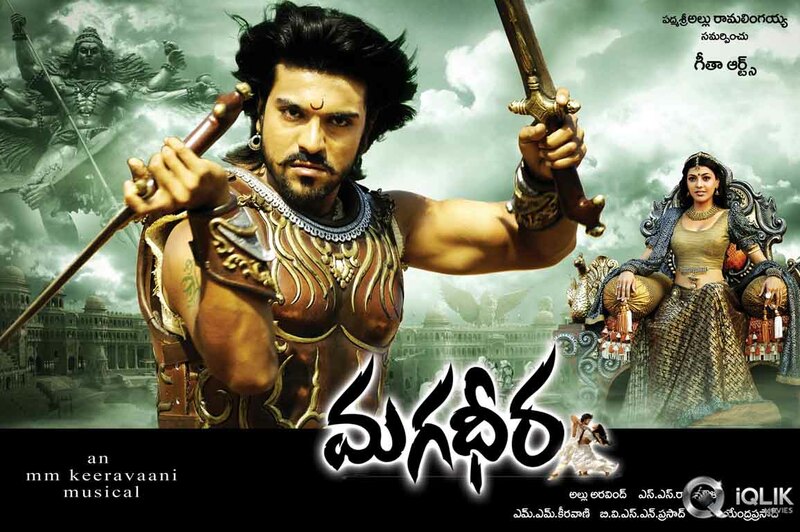 Coming to the year 2009- an age where Telugu Cinema witnessed movies pertaining to violence, youthful romance, family drama along with light hearted films, S.S.Rajamouli’s Magadheera came like a whiff of fresh air to the Telugu Audience. 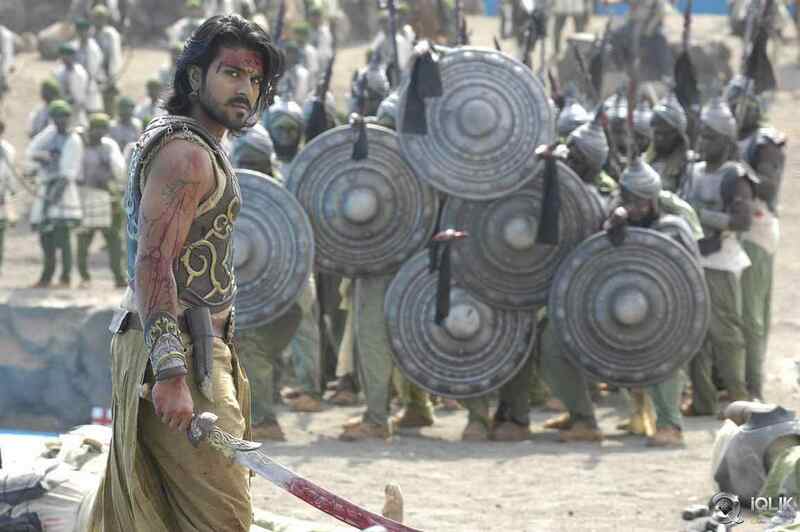 Though there are many reasons for why Magadheera is called as an Epic, one of the main reasons is that- it showed the modern generation about the richness of Historic Epic films Telugu Cinema is capable of. Making such a film is highly challenging not only to the director but also to the producer Allu Arvind of Geetha Arts. There was a huge void in Telugu Cinema regarding Historic themes during 90s-2000s where the producers started feeling it is a huge risk to make such films. With the exceptions of Kodi Ramakrishna (Ammoru and Arundhati fame) and Singeetham Srinivasa Rao (Who made Bhairava Dweepam)- not many directors ventured out to such films because of this fear. But S.S.Rajamouli’s Magadheera team has to be commended for the risk as well as tremendous hard work they did to bring this modern Epic to life. The film raised high level of expectations even before it was released- through the on set footage and the information about the grandeur in locations. 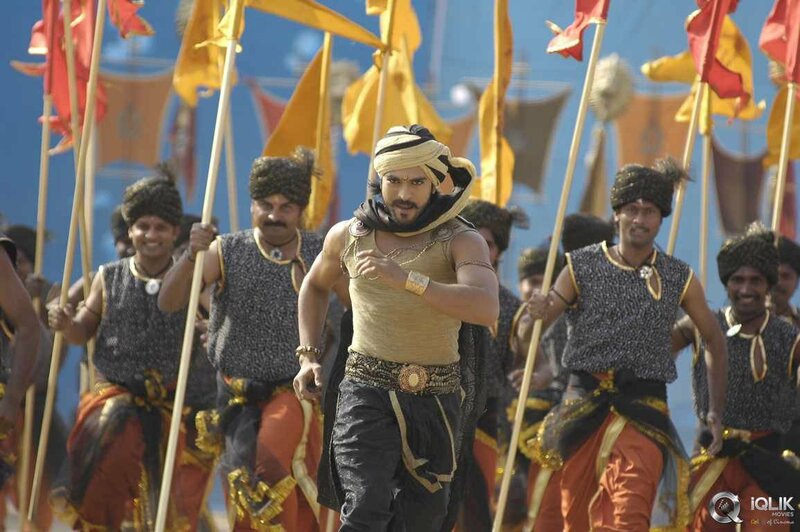 When the big day of release happened, everybody knew Chiranjeevi’s son Ram Charan’s career has taken a new turn with this film. The movie deals with Love, Reincarnation and Heriocs. Beginning with an era of 1609,a post war scene when our Warrior Hero Kaala Bhairava (Ram Charan) hears the final words of confession from his love Princess Mitravindha(Kajal Agarwal), he leaves his last breath. 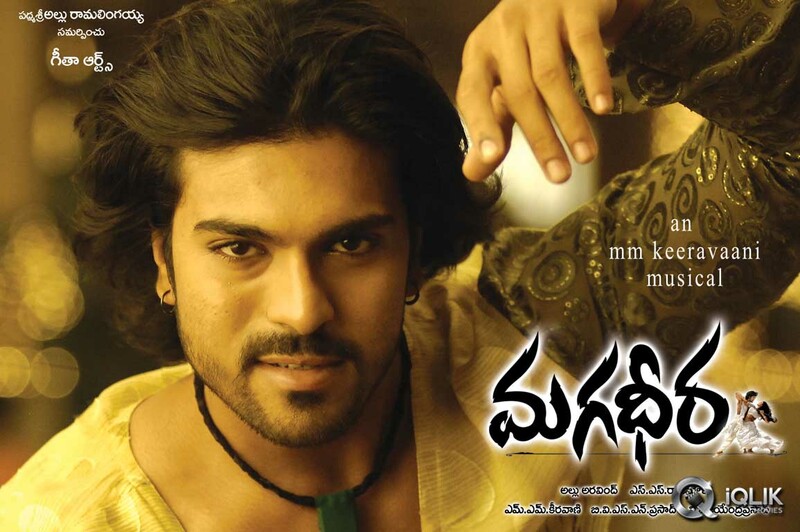 The scene gracefully moves to the year 2009, where Kaala Bhairava is reborn Harsha (Ram Charan) and accidentally happens to touch Indu’s (Mitravindha reincarnated) hand and start obsessively searching for her. Harsha apparently doesn’t know who Indu is and starts enquiring about her to Indu herself. Indu gets more interested to know Harsha’s intentions and introduces herself as Indu’s friend. These scenes are quite entertaining and fun to watch on screen. Enter the bad guy Raghuveer (Dev Gill’s best performance) who happens to be Indu’s relative. He falls for Indu at the first sight and his evil intentions know no bounds. S.S.Rajamouli shows the flashes of Harsha’s past life very frequently throughout these scenes and the same happens with Raghuveer as well. But Indu apparently doesn’t remember about her past life yet and our director makes us understand that when Harsha touches Indu, she would be remembering about the story of her past life. Raghuveer soon understands about this past life story and the reason about why he is reborn again. A clever Aghora (Rao Ramesh) warns Raghuveer that if Harsha realizes his past completely, he would be in trouble. After a very nice song Panchadara Bomma between Harsha and Indu, and when the viewers hold their breath to realize that both the protagonists will realize their past life story- things take a different turn. Indu’s father gets killed by Raghuveer and our evil villain picturizes the scene as if Harsha committed the murder. Indu starts hating Harsha apparently believing that he killed her father and goes away with Raghuveer. In dramatic circumstances, Harsha completely remembers his past life – where he was the bodyguard warrior Kaala Bhairava (Ram Charan) for the Udaygarh kingdom located in Rajasthan. His family has a legacy of protecting the kingdom and they are known for their courage and heroics. Mitravindha (Kajal) loves Kaala Bhairava dearly and also realizes he loves her too..But owing to his family differences, Kaala Bhairava buries the love in his heart. The Army officer of Udaygarh : Ranadev Billa (Dev Gill )lusts for the princess and treats Kaala Bhairava with contempt. Things take a serious turn when Sher Khan (Srihari) attacks the Udaygarh kingdom with his armed forces. His dream is to conquer India and become the badshah of the ancient land. At a wonderful location where Mitravindha comes to perform a puja to Lord Shiva, accompanied by Kaala Bhairava, Sher Khan joins hands with the traitor Army Head Ranadev Billa and attacks the vulnerable Kaala Bhairava. But our hero Kaala Bhairava is a courageous warrior. He challenges the army troops of Sher Khan and kills hundred soldiers by himself in order to protect the princess Mitravindha. Things take a sad turn when both Mitravindha and Kaala Bhairava get killed- with last words of love confession to be reborn as Indu and Harsha respectively: in the current day era! Sher Khan immediately realizes his mistake of challenging a great warrior like Kaala Bhairava and makes a pledge that he will surely help his courageous friend in any life and at any time. Rightly, the scene cuts back to the injured Harsha getting rescued by a Fisherman named Solomon (Srihari)- who is none other than Sher Khan reincarnated to help the hero! The rest of the film is about how Indu realizes this past life story and gets back to Harsha, Along with the revenge of Harsha towards Raghuveer. S.S.Rajamouli can be definitely termed as the backbone for this film where he took extreme care to film every scene in an Epic fashion. The facial expressions, body language and the aura of every character in the film was beautifully etched by him. He took amazing interest in the way action sequences are filmed, and they undoubtedly stand out with uniqueness in the film. Peter Hein worked for the stunt design of the film and his work speaks mountains about the dedication and the detail. Some of the scenes in the Historic era were breathtakingly filmed and the scene created a huge impact on the viewers. 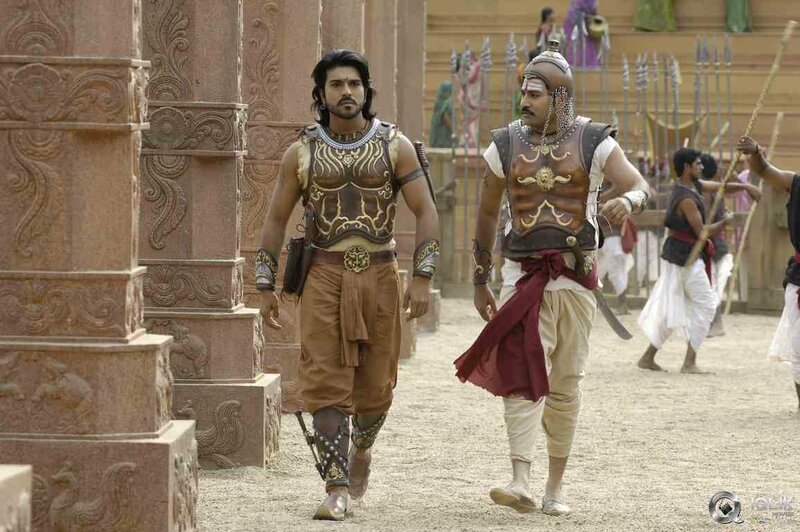 Styling and costume design was done by Rama Rajamouli, S.S.Rajamouli’s wife. It was done so elegantly and convincingly that we don’t see over usage of make-up or accessories anywhere during the film. M.M.Keeravani does his best yet again in Music department and the background score speaks volumes about the story. The songs became highly popular mainly “Panchadara Bomma” and “Dheera Dheera” were in top charts for the year 2009. 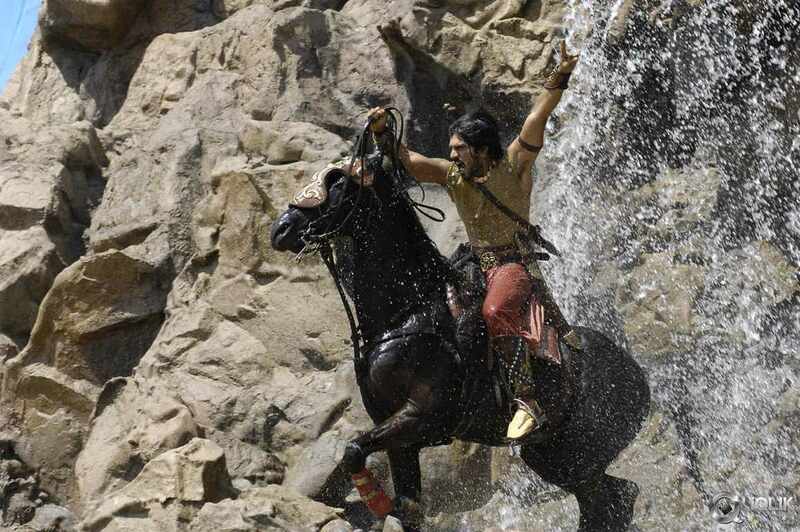 Ram Charan delivers his career best in this film as the youthful lover and a warrior bodyguard. He looks quite elegant in the horse riding scenes and his voice added to the earthliness of the characters he adorned. His hardwork is clearly reflected in the dance sequences as the audience has tremendous expectations from his dances- being the son of a legendary Dancing star Chiranjeevi! Kajal Agarwal gives a balanced performance and has different shades in both the characters she played- namely Indu in the current era and Mitravinda in the kingdom era. She is extremely likeable as the bubbly girl in Indu’s role and admiringly nice as the Princess Mitravindha. This film was her career defining work where people started noticing her good acting skills along with glamour. Dev Gil is vicious to the core as the bad guy and it was said Tollywood has found another great actor with negative shades. Srihari does his usual best- he has shown excellent variations in acting as the arrogant ruler Sher Khan in 1600s and the realized ruler as well. His diction as a fisherman Solomon in the current era was well timed and he pulls off the role with unmistakable ease. Chiranjeevi did a cameo with Ram Charan in an entertaining sequence following the introduction song “Bangaru Kodi petta” (Remastered version of the Chiranjeevi’s song with same name) and fans happiness knew no bounds. 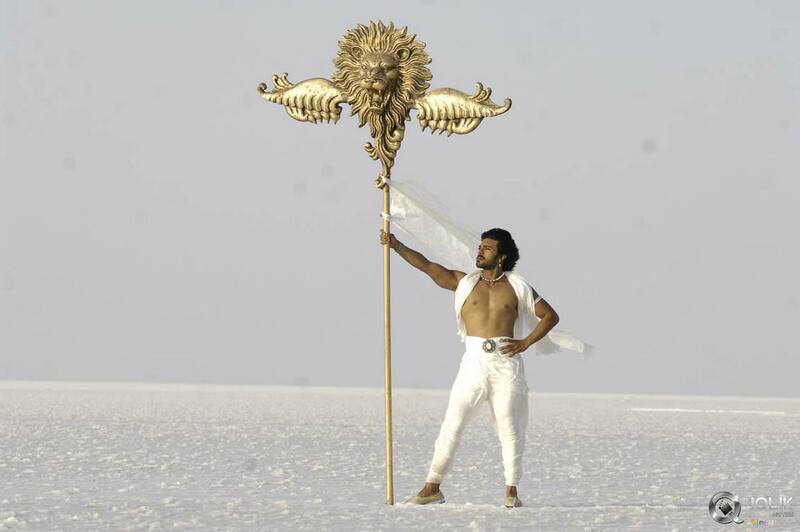 Magadheera bagged two national awards for Best Choreography( K.Shiva Shankar) and Best Special Effects (R.Kamal Kannan). The awards marathon continued with state level Nandi Awards for best Director (S.S.Rajamouli), Editing (Kotagiri Venkateshwara Rao), Art Direction (Ravinder), Choreography (Shiva Shankar), Audiography (Radhakrishna), Costume Design (Rama Rajamouli), Special Effects (Kamal Kannan) and Jury Award for acting to Ram Charan. The film has an End Credits special song which features all the cast and crew of the film. S.S.Rajamouli said it was an idea he got from the Bollywood movie Om Shanthi Om (2007) which had a similar song featuring the film’s team. 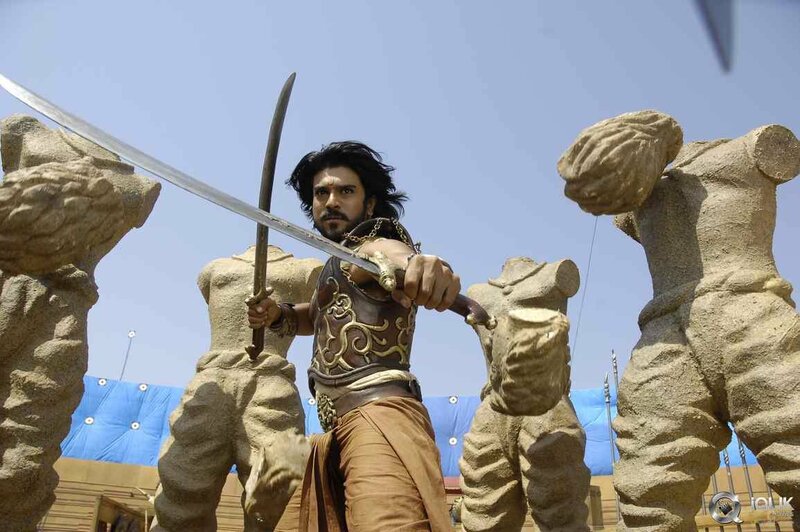 In short, Magadheera is a career defining film for Ram Charan Teja along with establishing S.S.Rajamouli once more as the top directors in Telugu Cinema. Kajal Aggarwal was the top choice as female lead in many of the Telugu Films which followed where she paired with most of the popular heroes in Telugu Cinema. The film was a ray of hope for budding story writers and directors who want to make a mark in the industry with a different concept of storytelling and challenging subjects.